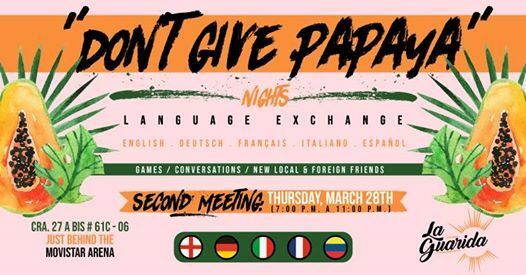 ♥ ¡Dear Family, friends and citizens of the world who are living, or visiting Bogotá! ♥ Welcome to La Guarida, a place that we want you to feel like home. 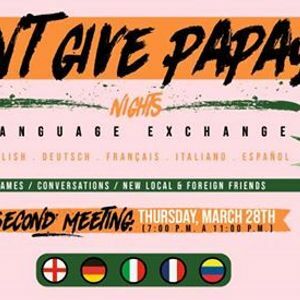 ♥ Therefore we have created this new event, trying to broaden our community by hosting our #LanguageExchange "Don´t Give Papaya Nights" making local and foreign friends from all over the world.